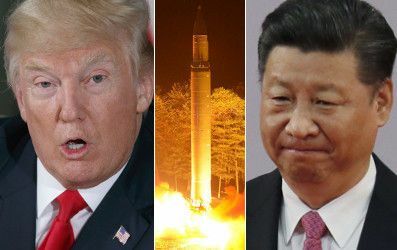 China’s government says it would remain neutral if North Korea attacks the United States, but warned it would defend its Asian neighbor if the U.S. strikes first and tries to overthrow Kim Jong Un’s regime, Chinese state media said Friday. The Chinese response to the heightened tensions between the U.S. and North Korea followed a number of hot-headed proclamations. One North Korean government official, meanwhile, accused Trump of “going senile,” Fox News reported.